TheEdge (Jan 22): Former Goldman Sachs banker Roger Ng Chong Hwa, who is facing 1MDB-related charges in the US and Malaysia, has filed an appeal at the High Court against an earlier decision by the Sessions Court, which rejected his bail application. Deputy public prosecutor Mahadhir Mohd Khairuddin told reporters here today after the Sessions Court hearing that Ng filed the High Court appeal on Jan 8 this year. Today, Mahadhir said: "The High Court has yet to arrive at a mention date for the decision on the appeal." Concurrently, Ng is also seeking permission from the Malaysian Prison Department to have adequate access to his US attorney pending a decision by the court on his extradition to the US due to 1MDB-linked charges. Ng's defence lawyer Datuk Tan Hock Chuan said Ng is seeking the US lawyer's help to assist him with the affidavit reply. "He (the lawyer) has gone home [to the US]," said Tan, adding that Ng will be "severely handicapped" without the requested access to the US lawyer. 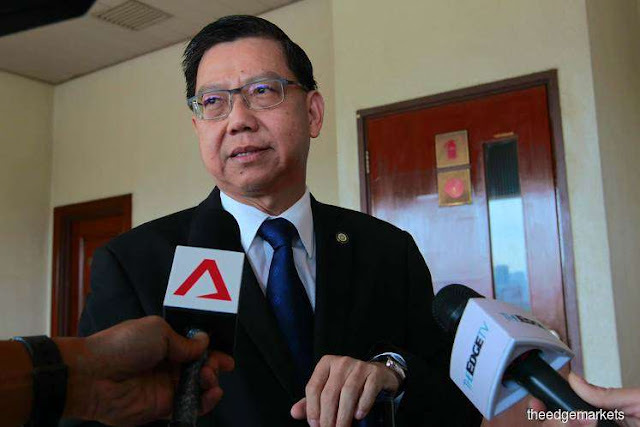 Tan said the US lawyer's return to Malaysia could be scheduled pending the decision by the relevant authorities on Ng's request. In response, Mahadhir said the Prison Department has no qualms about Ng's request for access to the US lawyer provided that "certain conditions are met". Mahadhir said he does not know what the specific conditions are for access to the US lawyer on top of common conditions for access to Malaysian lawyers. On Jan 8 this year, The Edge Financial Daily reported that in December 2018, Ng was charged in the Sessions Court with abetting his former employer in issuing bonds worth RM6.5 billion relating to 1MDB. It was reported that he claimed trial to four charges of abetting Goldman Sachs in selling the guaranteed notes and bonds belonging to 1MDB's subsidiaries by omitting material information and publishing untrue statements. It was reported that the US Department of Justice filed three criminal charges against Ng, as well as his former Goldman Sachs colleague Tim Leissner and fugitive businessman Low Taek Jho, who is also known as Jho Low, for allegedly laundering billions of dollars from 1MDB, and bribing various Malaysian and Abu Dhabi officials.